Chester Kirkland, left, director of operations, and Beth Bryan, clinic manager, are ready to serve the area’s dialysis needs at the new Fresenius Kidney Care location at 325 W. Freedom Ave., Burnham. 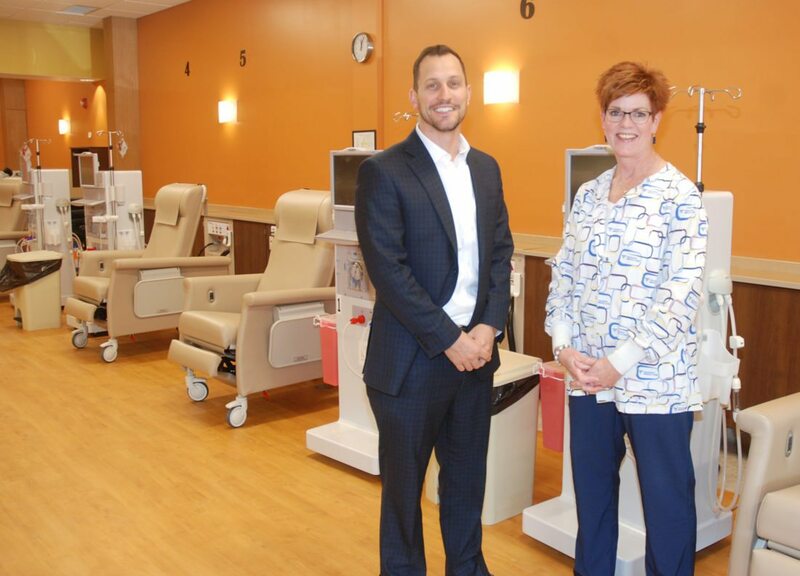 BURNHAM — Fresenius Kidney Care, a nationwide corporation, has opened its newest location in Burnham to offer the area dialysis treatment, resources and support for patients living with chronic kidney disease. 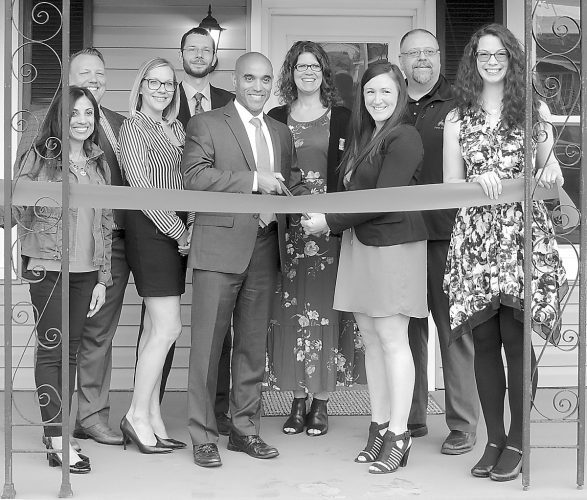 Located at 325 W. Freedom Ave. in Burnham, the new clinic was opened in November to offer individuals choice in where they want to receive care and to fill a need in the area for dialysis. Fresenius has been around since 1862 and is the largest manufacturer of dialysis equipment, according to Chester Kirkland, director of operations. 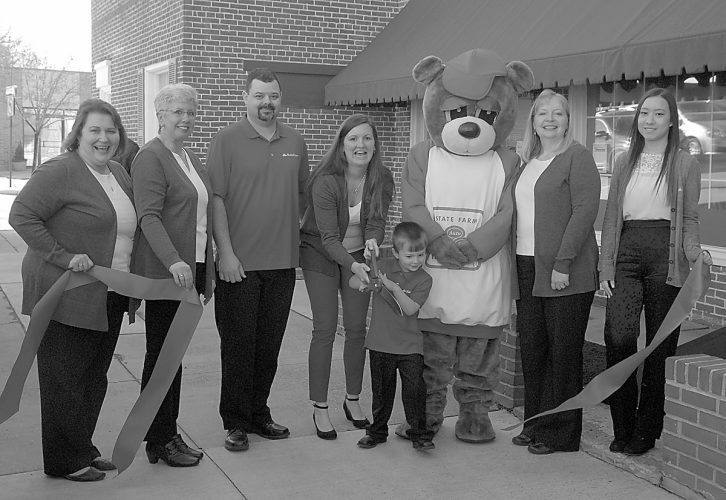 “Not only do we provide service, but the equipment as well,” said Beth Bryan, clinic manager. The clinic will be open to serve patients who need treatment three times a week for four hours at a time. Kirkland said the company’s first priority is for patients to receive a kidney transplant, but until then, they are committed to providing care-giving with the highest standards. Fresenius offers a total education package to its staff over a nine-week orientation period, followed by an internship. The clinic is working with Mount Nittany Medical Center and Dr. Fahima Nasreen has been named the medical director of the clinic. An open house is planned for 4 to 7 p.m., Jan. 18, to give patients and the public an opportunity to check out the facility and see the 13 dialysis stations available. The clinic is accepting all insurances and for anyone interested in making an appointment, call central admissions at (866) 434-2597. The admission office will contact Bryan for chair availability. The office will be open Monday, Wednesday and Friday. For general information, call (717) 248-4513.